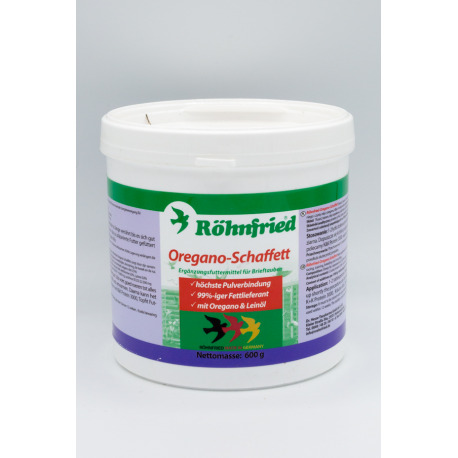 Oregano-Schaffett consists to 45 % of sheep fat and also contains oregano oil and linseed oil. This composition ensures the maximal energy supply for competitive flights, training, breeding, the raising of squabs, and moulting. 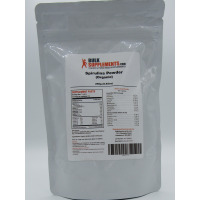 The oregano oil improves the digestive process and linseed oil provides unsaturated fatty acids. Oregano-Schaffett is also well suited for the absorption of powders. 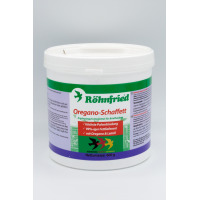 1-2 Tablespoons of Oregano-Schaffett are stirred into 1 kg of grain feed until the oil is evenly distributed. The sheep fat may be briefly warmed up to facilitate this process. The oil coated grain is then ready as feed. 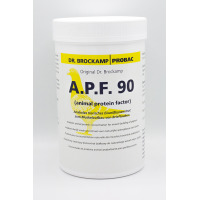 We recommend thickening the feed using K + K Protein 3000, Topfit Futterkalk or Kräuter-Mix or Entrobac. Storage: Store at room temperature and protect from light exposure! Use within 12 weeks of opening! Cool storage increases the shelf life.